Got a new resonant bass drum head but unsure how or where to cut the port hole? Want to know what a bass drum hole does? Wondering whether you actually need a bass drum port hole? Your bass drum has a huge impact on your overall sound, and the resonant head contributes a lot to this. Knowing how and where to cut the bass drum port hole is important! Luckily, everything you need to know is right here on the one page. So what does a bass drum hole do? Better projection (your bass drum sound will go further). More attack, and greater definition from the bass drum beater (especially when only the resonant head has a microphone). Without a port hole, the resonant mic can’t capture much beater definition. Less rebound from the bass drum beater. A slightly brighter sound (the port hole removes some of the warmth from your bass drum sound). A place for the bass drum microphone (for live shows, you’ll make your engineer happy). An easy way to add and remove dampening (towels, small cushions, etc.) for when you need to change up your sound. 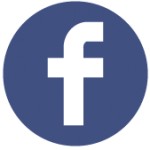 Want to explore drum sound factors in more detail? Take a look at the Drum Sound FAQ. All of the above points depend on where you cut the bass drum port hole, and how large it is. Read on for more information! Placement: Where to put the bass drum hole? Bass drum port holes are usually cut on the bottom half of the drumhead, between the center and edge of the head (or slightly closer to the edge). 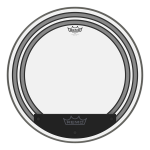 Most commonly, port holes are placed either on the bottom left or bottom right of the drumhead. Why? A bass drum hole on the lower half of the head gives more options for placing a microphone. Engineers can use a small or large boom stand, or a table-top stand for the bass drum mic. A port hole placed at the very bottom of the drumhead can sometimes be harder to mic. You’ll also lose less sustain with a hole at the bottom of the head, since most bass drum beaters strike slightly above the center (see below for more on this). Finally, cutting the bass drum hole closer to the center will change your sound much more than an off-center hole (read below for why). However, don’t cut the port hole too close to the edge or you’ll risk weakening the drumhead. Bass drum hole placement in the center is not recommended. A center port hole cuts the sustain almost completely, meaning no ringing and a brighter (higher-pitch) sound. Why? After the beater strikes the batter drumhead, vibrations travel directly across to the center of the resonant head. A center bass drum hole means the resonant drumhead won’t vibrate, as most of the resonance is lost through the port hole. Note: If you actually want this kind of sound, a center bass drum port hole placement is not necessarily a bad thing. If this is the case, go for it! You can also put the bass drum hole around the top or directly left/right of the drumhead’s center. This is more of a cosmetic choice, depending on where the logo is on your drumhead. A hole in the upper half of the drumhead can limit (slightly) the microphone stand options, but this is a very minor issue. Tip: If you’re really concerned about losing sustain and warmth, place the bass drum hole at the furthest point from where the beater strikes. This minimises the effect of the hole. Depending on your drum pedal and drum size, your bass drum port hole placement may need to be at the very top or very bottom of the resonant drumhead… Measure your beater’s striking point before cutting the hole! For very large bass drums (above 24 inches), the port hole may be best at the top of the resonant head. For smaller bass drums, the opposite may be true. Important Note: When placing the bass drum port hole, make sure any built-in dampening is not cut. Some resonant drumheads have rings or felt on the inside to muffle the sound – avoid cutting these! What size should my bass drum hole be? Minimum 4 inches in diameter to allow a microphone (although 5 inches is better to ensure all mics will fit). If you never plan to mic the bass drum, the minimum is 3 inches – you won’t notice much difference if you go below this. Maximum 7 inches in diameter – larger size holes change the sound more dramatically. A bass drum port hole size wider than 7 inches will sound like you have no resonant drumhead at all. Note: These port hole sizes are for 20 to 24 inch bass drums. If you’ve got something larger, you can get away with a slightly larger hole. Similarly, for smaller bass drums, take an inch or two off the maximum and minimum sizes. Tip: If you want to keep some warmth (a deeper bass drum sound), make the port hole size as small as possible. As the hole gets larger, you’ll hear less resonant head and more batter head (and beater). The resonant drumhead is a huge factor in providing warmth and sustain, and a larger sized bass drum port hole will reduce this. Do I need a special drumhead for the front of my bass drum? The answer: No. You don’t need to buy a bass drum head specifically designed for the resonant side. There are special drumheads available that are designed to go on the resonant side (front) of your bass drum. These usually have a big logo across them, and/or a bass drum hole already cut. Besides these, though, you can use any bass drum head you like for either side of your bass drum. 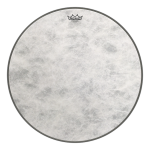 If you’re looking for one, head over to the drumhead selector to compare drumheads (and filter them by brand, sound, dampening, etc.). synthetic fiber bass drum heads which look amazing on a kick drum. clear bass drum heads which, surprisingly, are clear! coated bass drum heads with a coating (usually white). You can also find mirror reflective resonant bass drum heads, and heads with custom artwork. Warm / dark sounding bass drum heads, which focus the sound much more on the midrange and low-end frequencies. Balanced sounding bass drum heads, which balance the sound fairly evenly. Bright sounding bass drum heads, which focus the sound more on the higher frequencies (good for when you need to be heard in loud environments). Punchy sounding bass drum heads – these have a quicker punch with more attack. Bass drum heads with high sustain, which ring out a lot after you hit them. Bass drum heads with low sustain, which are more controlled, giving less ring. Bass drum heads with no sustain – these barely ring out at all after you hit them. Extremely sensitive bass drum heads, which are great if you play lower volume music or do some lighter touches on the bass drum. Dead silent bass drum heads, to stop your neighbours complaining! (or for using triggers on a real drum). Note: As mentioned above, be careful not to damage any built-in dampening when you’re cutting a bass drum hole (if your drumhead comes with this). One other thing – Evans Hydraulic heads have a thin layer of oil between two plies of film… It’s not recommended to cut these drumheads, as the oil can leak out. How to cut a bass drum hole? So you’ve decided on the bass drum port hole placement, and how large it should be. There are a few options for cutting a port hole very cheaply (or free!). Regardless of which option you choose, it’s recommended to get an adhesive bass drum hole template. These have two purposes: 1) They’re a great template for cutting the hole. 2) Importantly, they stick onto the bass drum head, reinforcing the hole so it doesn’t tear. The Remo DynamO or Aquarian Port-Hole are two good options for adhesive bass drum templates. Take a look at Bass Drum O’s for something more colourful (these snap onto the bass drum hole). 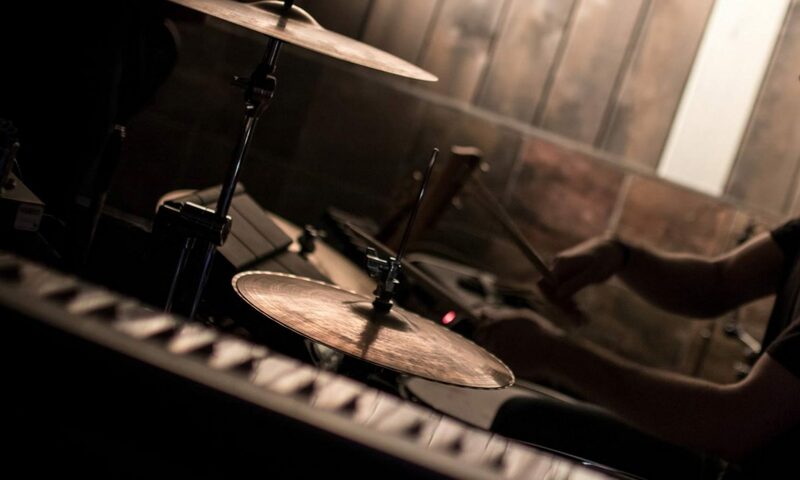 If you’re playing shows, you’ll definitely need some sort of reinforcement to ensure the hole doesn’t tear… Tears occur easily from bumps with microphone stands, or when moving / setting up your kit. A quick and easy way to create the bass drum hole is to cut it with a knife (an x-acto knife, stanley knife, scalpel, or anything than can do precise cuts). Note: Never cut a drumhead while it’s attached to the drum – the tension can cause it to tear! Buy a bass drum hole protector template (see the options above), or use something round that matches the diameter you need. Some ideas for a template: a cup / tin can / glass jar / CD / plastic container / splash cymbal / small plate. Note: if you’re planning to reinforce the bass drum hole with a stick-on protector ring or Kickport, make sure the diameter matches this! Place the drumhead face down on a flat surface (e.g. a cutting board). If you have a stick-on bass drum hole protector template, stick it on now. If you’re using something else (a cup / jar / tin can / etc.) press down onto it so it doesn’t move. Carefully cut around the hole with your knife. Take your time here, so you don’t slip and ruin the bass drum head. Be extra careful not to make small cuts that spread into the drumhead – these can slowly tear over time. Tip: If you don’t want to use a knife to cut your port hole, get the Bass Drum O’s Bass Drum Hole Cutter. This hole cutter is cheap, accurate, and can adjust quickly to cut holes between 1 to 9 inches in diameter. It has a built-in blade and centering pin, making bass drum hole cutting very easy. Find a tin can that matches the size of the bass drum hole you require. If you’re planning on sticking a bass drum hole protector on, make sure the of your tin can diameter matches this. Lay your bass drum head flat, with the outside of the head facing down. Using the tin can, outline a ring exactly where you want to melt the port hole. Heat the open side of the can on the stove for 1-2 minutes on a medium-high temperature. Using oven mitts, pick up the hot can and press it onto the bass drumhead. Hold the can against the head for around 20 seconds, and slowly rotate the can to avoid it sticking. The can should melt through, creating a perfectly round bass drum hole. Once you can see the can has melted through, you can remove it. Note: If the can sticks to the bass drum head when you try to remove it, carefully cut it loose with a knife. Tip: Keep the circle you cut out of your bass drum. It can be used as dampening for your snare or toms, like a mini Big Fat Snare Drum. Check out our article on what to do with old drumheads for more uses! If you’re not confident with cutting a hole in a bass drum head yourself, there are a lot of options where the port hole comes pre-cut in the factory. Aquarian, Evans, and Remo all have resonant bass drum heads available with the port hole already made, meaning all you need to do is put the head on your drum. This is a 10mil single-ply resonant bass drum head, with a thin inlay ring around the inside of the head. The port hole is 5″ in diameter, reinforced with a Remo DynamO ring, and is cut in the lower right side. This head gives a good sustain, and the inlay ring helps reduce strange overtones. The Powerstroke P3 is a versatile choice – put a small cushion inside your bass drum to control the sound, or leave it open for a nice longer sustain. Aquarian’s Regulator is a 10mil single-ply resonant bass drum head. It is more controlled than the Powerstroke P3 (above), due to the 10″ inner felt muffle ring. This muffle ring reduces sustain and overtones, and gives a warmer overall sound. The result is a shorter, deep, and punchy kick drum sound. The Regulator comes with a reinforced 4.75″ port hole, placed on the center right side. The Aquarian Regulator is also available with a 7″ center port hole. The large center port hole dramatically reduces sustain, giving you a very short bass drum sound with a lot of attack. 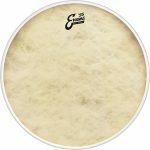 The Evans EQ3 resonant bass drum head is made with a single-ply that varies from a thin 6.5mil, 7mil and 7.5mil, to a medium 10mil. All pre-cut versions have a reinforced 5″ port hole in the bottom right, and an internal inlay ring. Sound-wise, the thinner versions of the EQ3 give a slightly brighter sound. As these heads get thicker, there is a little more warmth and sustain. These differences are minor though, and all of these resonant bass drum heads are great options. Like the Powerstroke P3, you can add more dampening through the port hole if the sustain is too much. The Evans EQ3 is featured in our ultimate drum dampening and drum muffling guide, covering everything you need to know about controlling your drum sound. So I have a bass drum port hole, now what? Put the drumhead on and test it out! Tune your bass drum without any dampening first, then add it later if you want. Starting out with the best sound possible (before adding dampening) will give you the best end result. Now that you’ve made a bass drum port hole, you can easily stuff some dampening in after you’re tuned. Check out the ultimate drum dampening and drum muffling guide, for more info on how to master your drum sound. Make sure you reinforce the bass drum hole, to avoid it tearing. Get a bass drum port hole protector (also known as a reinforcement ring), or use thick tape (inside the head) as a bare minimum. Get your bass drum pedal in order. Check out our huge bass drum pedal guide, with reviews of the best bass drum pedal at three different price ranges. There’s also essential info to help you understand your pedal and how it functions. Your bass drum gets more of a workout than just about any other drum, so make sure you have a great pedal. Improve your bass drum beater game. Your bass drum beater will have a huge impact on your bass drum sound, both live and in the recording studio. Find the best bass drum beater for your style, and understand exactly how they sound, in the ultimate bass drum beater guide. The Kickport. Is it worth it? A Kickport fits inside the bass drum hole, with a longer back section projecting into the drum. Designed to capture the lower frequencies, Kickports give you a deeper, boomier bass drum sound. 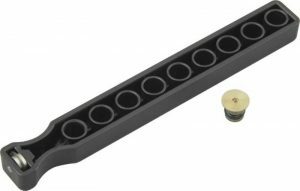 They’re easy to remove if you need to change the sound (held in place by a compression gasket)… Once you’ve cut the port hole, you don’t need to remove the drumhead to install or remove the Kickport. These work with all sized bass drums, but are most effective with smaller drums (20 inches or less; although you’ll still notice a difference with larger drums). If you use a lot of dampening (pillows/towels/etc inside your bass drum), the Kickport is not for you… This product is best with undampened or slightly dampened drums, and is pretty effective at bringing out the lower frequencies. Tip: Kickport also make a bass drum port hole template which you can use as a regular reinforcement ring… This is worth getting if there’s a chance you’ll buy a Kickport in the future. The ring is the perfect size to mount the Kickport, and provides good reinforcement to stop the port hole from tearing. Experiment! When you buy a new bass drum head, try it without cutting the port hole first. This will give you a great idea of the sound of a bass drum hole vs. no port hole. If you like the sound, you don’t need to cut a hole in it (John Bonham, anyone?). 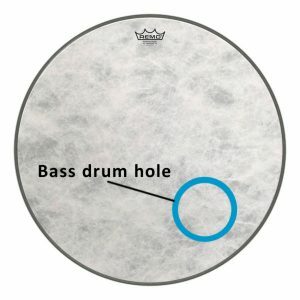 A lot of drummers decide to keep their resonant bass drumhead hole-free. This will obviously depend on your music style… Very loud music usually benefits from the greater attack and projection of a bass drum hole. If you play a lot of shows, sound engineers appreciate having a hole for the bass drum mic. In the studio, it comes down to personal preference and the number of microphones available… Without a hole, you’ll usually need a second mic on the batter bass drum head (although most engineers do this anyway), to capture the beater and to get more attack. Think about these things when weighing up whether to have a bass drum port hole vs. no port hole. While we’re talking about bass drums, see our huge guide on the best bass drum pedal for beginners, intermediate drummers, and the absolute best bass drum pedal. Plus, there’s a bass drum pedal buying guide covering the most important factors that change how a pedal feels and plays. Looking for great drum accessories and gifts? Take a look at our roundup of top drum accessories and the best drum gifts for drummers. See our huge drum dampening and drum muffling guide, with everything you need to know about controlling your drum sound.